Dubai, UAE: Meet Iraq war veteran and former U.S. Army Sergeant Grady Powell. Joining him in the brand new season of Dual Survival is Josh James, a well-known outdoorsman, better known as the Kiwi Bushman. For Grady, survival is a mindset but Josh takes a patient, balanced approach to survival and frequently clashes with his partner’s instinctive tactics. The world’s toughest survival experts forge new partnerships to take on some of the most challenging environments, and Middle East viewers will get to experience the thrilling adventures of Dual Survival for the first time. As they slash their way through the Nicaraguan jungle battling snakes, mosquitoes and dehydration, Josh and Grady must build a raft to cross croc-infested waters. And on the punishing slopes of Bulgaria’s Rila Mountains, the duo face a whiteout blizzard, freezing temps and a run-in with a deadly predator. 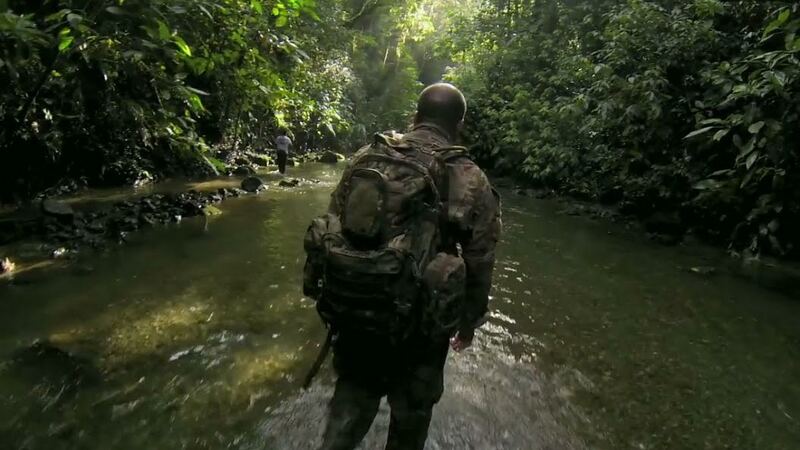 Can they draw on their unique skills and experiences to battle with some of the toughest wilderness environments on the planet and make it out alive? DMAX, part of Discovery Communications, features real stories by real people and experts, is the channel for those who believe in living life to the fullest. With the tagline, “life is a big adventure”, DMAX is set to become the most popular platform for young men in the Middle East looking for their daily dose of adventure, with genres including extreme outdoor, engineering, fishing and military. ‘DUAL SURVIVAL’ on DMAX HD from Thursday, 22 September at 21:00 KSA/Qatar. Available on beIN channel 114. Discovery Communications (Nasdaq: DISCA, DISCB, DISCK) satisfies curiosity and engages superfans with a portfolio of premium nonfiction, sports and kids programming brands. Reaching 3 billion cumulative viewers across pay-TV and free-to-air platforms in more than 220 countries and territories, Discovery’s portfolio includes the global brands Discovery Channel, TLC, Investigation Discovery, Animal Planet, Science and Turbo/Velocity, as well as OWN: Oprah Winfrey Network in the U.S., Discovery Kids in Latin America, and Eurosport, the leading provider of locally relevant, premium sports content across Europe. Discovery reaches audiences across all screens through digital-first programming from Discovery VR, Seeker and SourceFed Studios, as well as over-the-top and TV Everywhere offerings including Eurosport Player, Dplay, Discovery K!ds Play and Discovery GO.